How do you feel about drinking tea before going for an exercise? 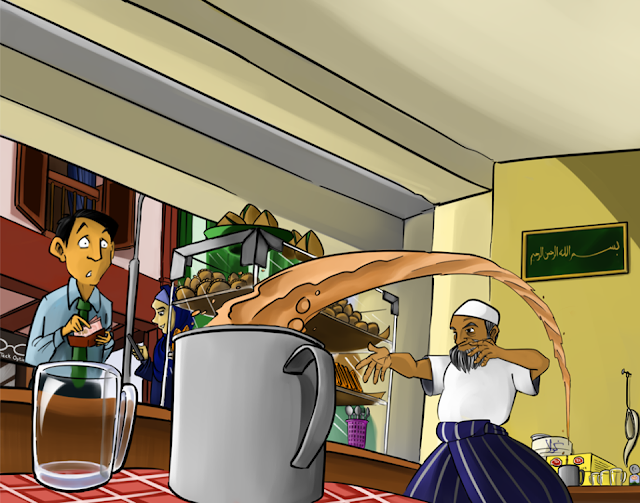 And by tea, we don’t mean the fancy Earl Grey or Oolong tea, but more like “teh tarik”! Teh tarik, literally translated as “pulled tea” – is a hot milk tea beverage commonly drank in Malaysia and Singapore. So if you think a Krispy Kreme run is bizarre, wait until you join the world’s first ever Teh Tarik Run, a 4 x 1km run where runners need to drink one tik-gong (condensed milk can) of teh tarik for every set, meaning 4 tik-gongs for four sets! The tik-gongs will be provided to the runners as they are included in the race pack along with the running tee and drawstring bag. After the run, runners can join the post-race Prata Party where everyone will be treated with some nice and delicious pratas! However, only the top 20 fastest runners will get to eat their pratas with mutton or chicken curry while the others will only get the normal curry. 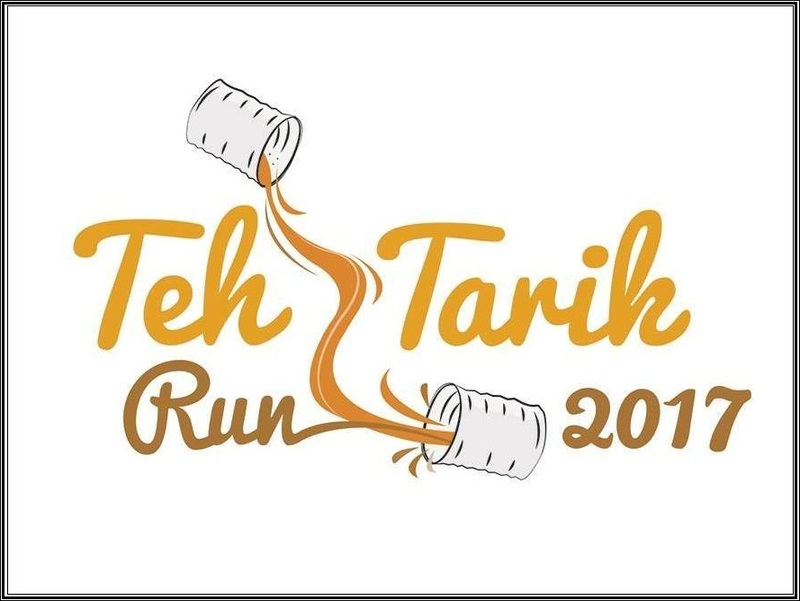 Also, fair warning, having to run right after drinking teh tarik might cause you to vomit some of the drinks back out, but that’s okay because the organiser is aware of it, and they don’t mind you puking your guts out! “To attain an ‘A’ timing it has to be froth in, froth out – No two ways about it. In our book, if the froth doesn't come back out, you might as well walk. To walk means, you should have walked straight to the prata shop instead,” the organiser wrote on the official page. If you’re interested to join the bizarre fun run, register now at tehtarikrun.com for SGD28 (Early Bird) before 15 February 2017, because after the date, the price will be SGD35. 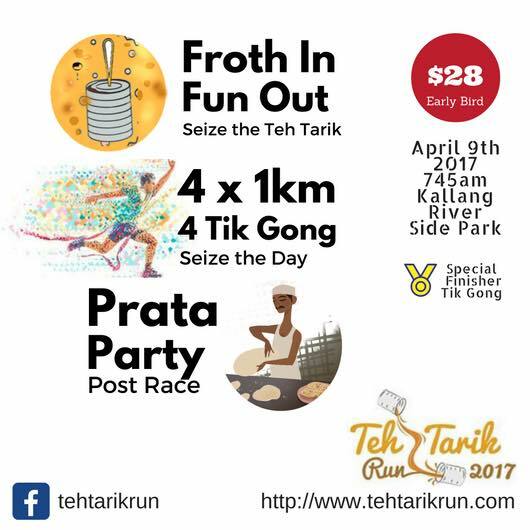 Teh Tarik Run takes place at Kallang River Side Park on Sunday, 9 April 2017 .